To borrow a question that The Coca-Cola Company’s Beatriz Perez posed to the audience last week, “How do you run a business for the next quarter-century, as opposed to the next quarter?” This was a theme throughout the Conference, as we collectively grappled with how rapidly our operating environment is shifting and how radically different our future will look. We tackled some of today’s most difficult but urgent subjects, including racial justice, power imbalances, and sexual harassment in the workplace. Our closing plenary speakers were New York Times investigative reporters Jodi Kantor and Megan Twohey, who, among countless other accomplishments, broke last year’s Harvey Weinstein story, helping ignite the #MeToo movement. They shared their thoughts with us on what comes next, both for the movement and the fight to advance gender equality in the workplace. Plenaries and breakouts alike addressed the idea that business should engage with governments and increasingly needs to speak out on social and environmental issues: Author Anand Giridharadas urged participants to think about the policies their companies are lobbying for and against in Washington and how these efforts align—or don’t—with their sustainability efforts. Technology was also top of mind, from John Ruggie’s remarks, where he referenced his work to translate the UNGPs into algorithms, to conversations about the human rights implications of artificial intelligence, blockchain, and the lessons of “techlash.” Participants rolled up their sleeves in futures thinking sessions to imagine the implications of technological advances like these for business. Not least, results of the U.S. midterm elections made their way into several conversations; most notably the fact that more than 100 women were elected to Congress. Watch plenary session videos: Almost every plenary session is now live on our YouTube channel, from David Schwimmer’s call for men to be a bigger part of the conversation around sexual harassment and power dynamics, to Novartis CEO Vasant Narasimhan’s talk about “bending the curve of life” through improving access to medicine through innovation. Read about our latest initiatives: We launched a lot of new content last week. Check out our new report to help you increase the resilience of your business strategy, Doing Business in 2030: Four Possible Futures, and CoLab, our new incubator and accelerator of private-sector collaboration. See the social media highlights: Follow @BSRnews, @bsrherproject, and BSR staff on Twitter, and see what you missed on the #BSR18 hashtag. You will also find photo highlights on our Instagram accounts, @bsrorg and @herprojectbsr. Find yourself in photos: We’ve uploaded photos from the week onto our Flickr account—head on over to see whether we captured you, or your favorite moment, in our BSR18 album. Share your thoughts: If you were with us in New York, please take a moment to complete the Conference survey (available in the mobile app under “Surveys”). If you weren’t there, you can always tweet at us or email us your perspective. We are grateful to have had the opportunity to connect with all of you—our global community of change agents and thought leaders who are truly creating a more just and sustainable world through the work you do every day. 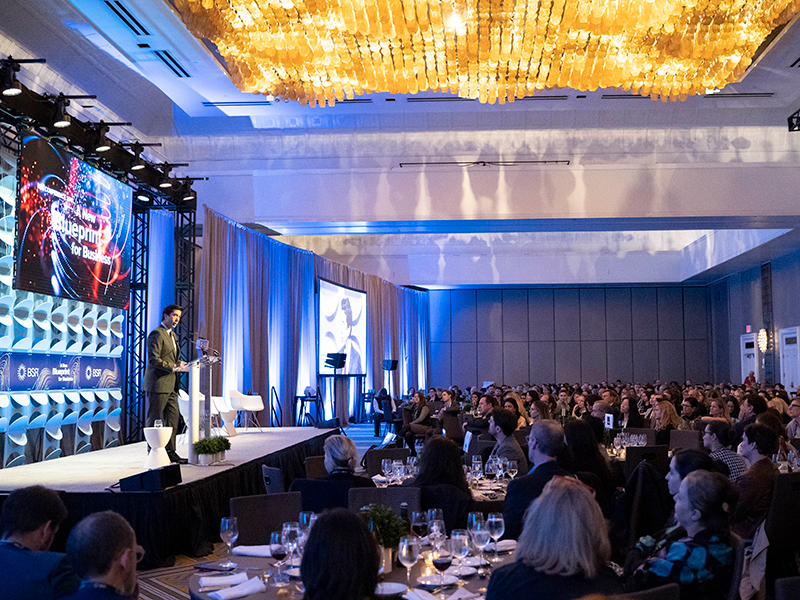 It is so energizing for us to come together to discuss big issues, explore global challenges, and share stories from the front lines of our work to advance sustainability, and we’re already looking forward to seeing you next year at BSR19 in San Jose, California, November 12-14, 2019. This originally appeared on the BSR blog.